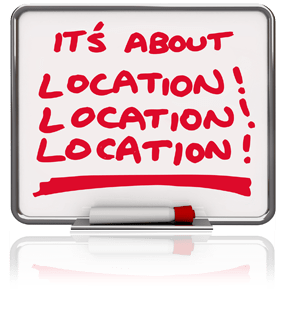 There’s a famous saying in the real estate business: “Location, location, location”. It simply means that where your home is located — the neighbourhood — is just as important to potential buyers as the features of the property itself. Sellers often make the mistake of creating a long list of home features while ignoring neighbourhood features. They tout the spacious kitchen, the newly renovated bathrooms and the gorgeous backyard deck, but say little about the area. So when you’re ready to sell your home, sit down and create two lists: home features and neighbourhood features. Buyers want to know both. Location of schools and daycare centres. Major retailers and shopping centres. Proximity to major commuting routes. Theatres, night clubs and other entertainment. Rinks, gyms and other sporting facilities. Green space, walking trails, ponds. When buyers have their eyes on two properties which are comparable in features, the neighbourhood is often the deciding factor. A good REALTOR® who knows your area can help. When preparing a property for sale, homeowners often focus on the things that will impress buyers, such as clean and uncluttered spaces, well lit rooms, staged furniture designed to maximize appeal, and so forth. But it’s equally important to pay attention to those things you don’t want buyers to see… those little turn-offs that, although seemingly minor, can distract buyers and cause them to lose interest in your property. Pets. Although many people love pets, some don’t. Others are allergic to them. Dogs, in particular, can take a keen interest in new visitors, jumping and barking excitedly. It’s best to take pets for a walk during viewings. Unfinished repairs. Dripping taps. Gouges and marks on walls. Broken tiles. Squeaking gates. 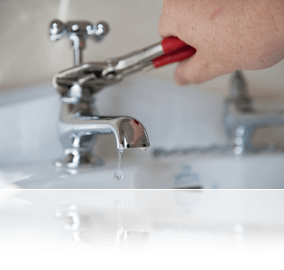 Home buyers will notice, and may mistakenly think there are other deficiencies lurking in your home. Do as many repairs as you can. Then be upfront about those that are in progress. Clutter. It’s common for main rooms, like livingrooms and kitchens, to be clean and uncluttered during a viewing. But buyers who become interested in your property will take a closer look, and check out the garage, cupboards, backyard shed and other places where things tend to accumulate. The more you de-clutter, the better your property will show. Smells. Obviously not something a buyer will see, but he or she will definitely notice lingering odours associated with pets, garbage, exotic cooking, and smoking. Scents have a strong influence on emotions. That’s why perfume companies do so well! So make sure your home is as scent-free as possible. You. Nothing personal. When buyers view your home, they want to visualize themselves living there, not you. So let your REALTOR® be the host. Remove as many personal items, such as family pictures and trophies, as possible. You probably know there’s more to selling a home than putting up a FOR SALE sign. But if you don’t understand the process in detail, you might feel intimidated and stressed when it comes time to put your property on the market. 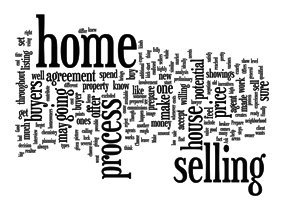 Fortunately, the home selling process isn’t that difficult to understand. There are basically six steps. Step one is selecting the right REALTOR®. You need a knowledgeable, trusted expert who can guide you through the process, take care of all the details, and help sell your home quickly and for the best price. Step two is preparation. You need to ensure your home is clean and uncluttered. It’s also important that you take care of any needed repairs, even minor ones like wall dents. You may also need to consider a home improvement, such as replacing worn carpeting. Step three is the listing price. You need to select a listing price at or near the fair market value of your property. Step four is promotion. How will buyers find out about your property? Will they see it on MLS? Will they come across an ad in the newspaper or on the internet? Will they receive an invitation to an open house? An effective promotion plan is critical. Step five is dealing with offers. Ideally, you’ll get several. But the best offer is not necessarily the highest one. An offer can fall through for many reasons, so dealing effectively with offers is, perhaps, the most important part of the home selling process. Step six is the transaction. Once the sale is made, you want to know that you have the right professionals in place – your lawyer, mover, etc. – to make sure all the after-sale details are taken care of properly. Want more ideas for making sure the home selling process goes smoothly for you?